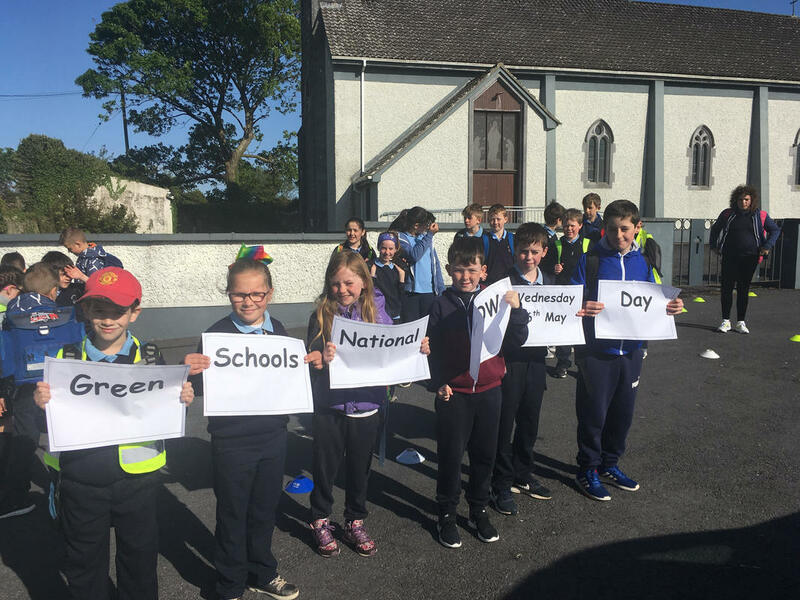 National Biodiversity Week is 19th - 27th of May. Coole Park are hosting some fantastic family friendly events. 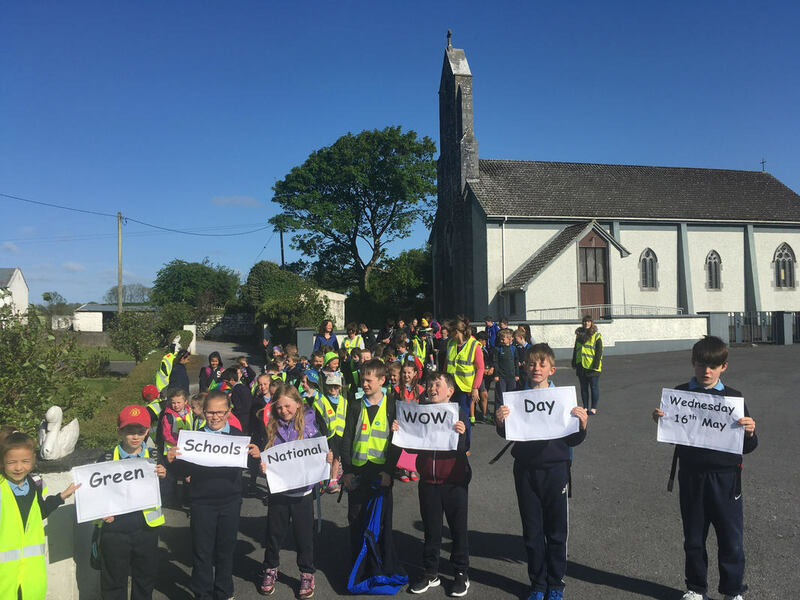 It was the 10th anniversary of 'National Walk to School Week' from May 14th to 18th. As part of National Walk to School day, 75 pupils and adults walked to school. 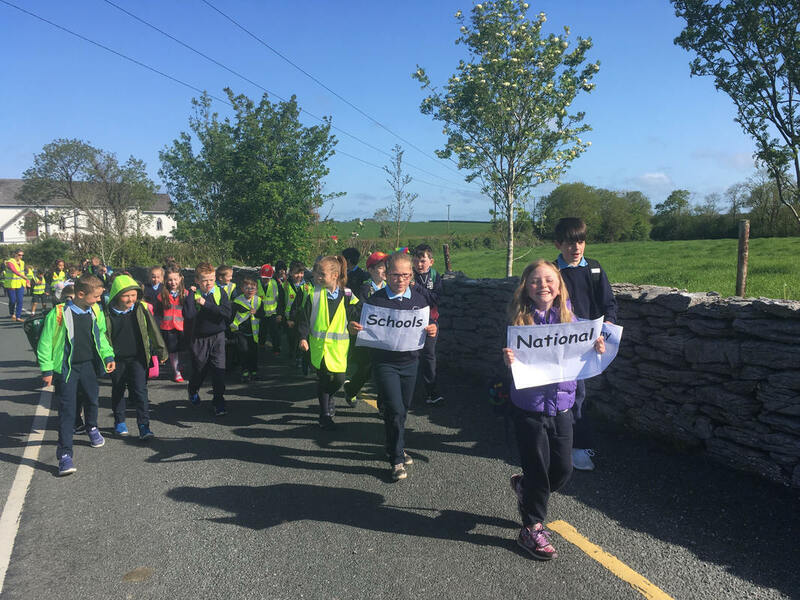 The aim was to get 20, 000 walking to school nationally! Well done to all who took part! 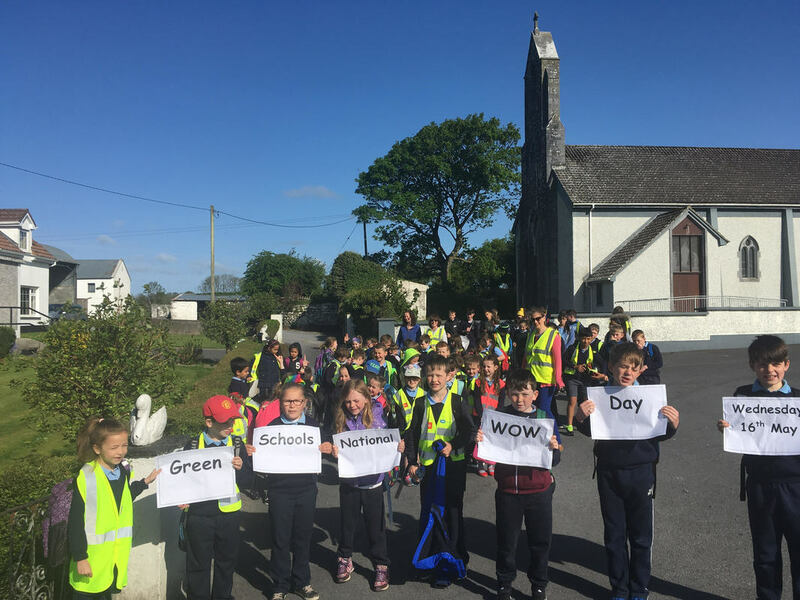 We had our Green Flag assessment on Monday the 5th of March and we are delighted to announce that our application was successful and we are awarded a Biodiversity flag, our fifth Green flag! Well done to the Green School Committee who worked very hard during our application and also to the rest of the school. 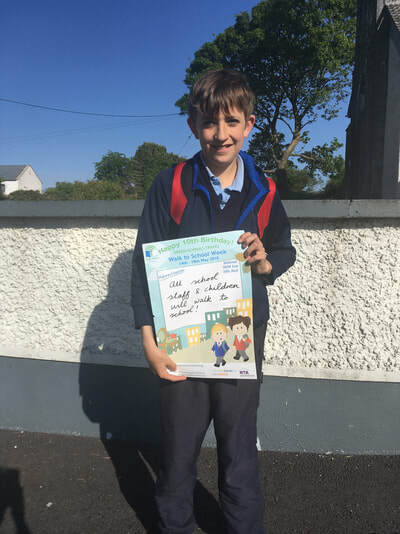 It was a real whole school effort! The awards ceremony will take place on Tuesday the 22nd of May (which is National Biodiversity Day) and Matthew Kerans and Ethan Minihane will receive the flag on behalf of the committee and the school. Some of our Green School committee members creating 'leaf piles' for animals and insects. They will especially need these in the cold weather. Some of the fantastic examples of work completed by the 5th and 6th class children during the Áitbheo programme are above. If you would like to know more about biodiversity, click on PDF above! 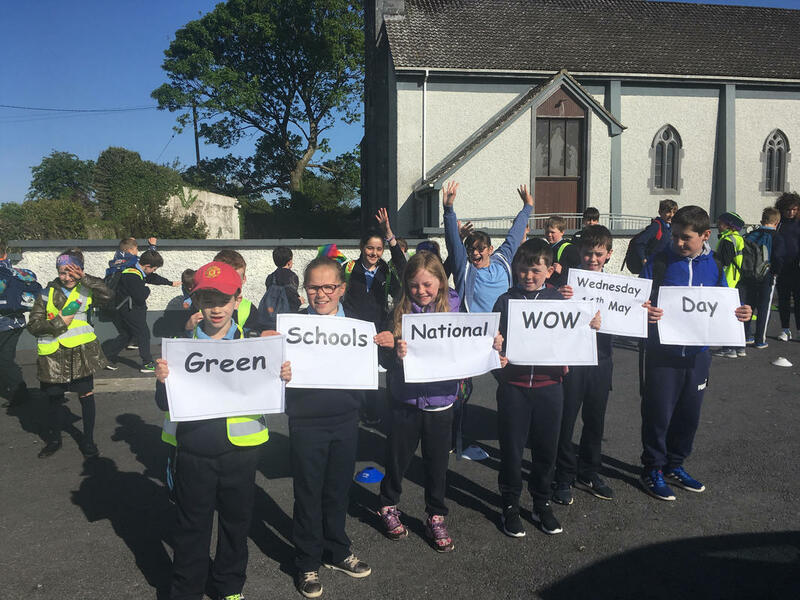 The Green School Committee hard at work creating signs for the school to remind them of the key messages of the previous four green flags. A close up of our 'bug hotel'. Our Green School Committee with our 'bug hotel', our newest habitat to our school! 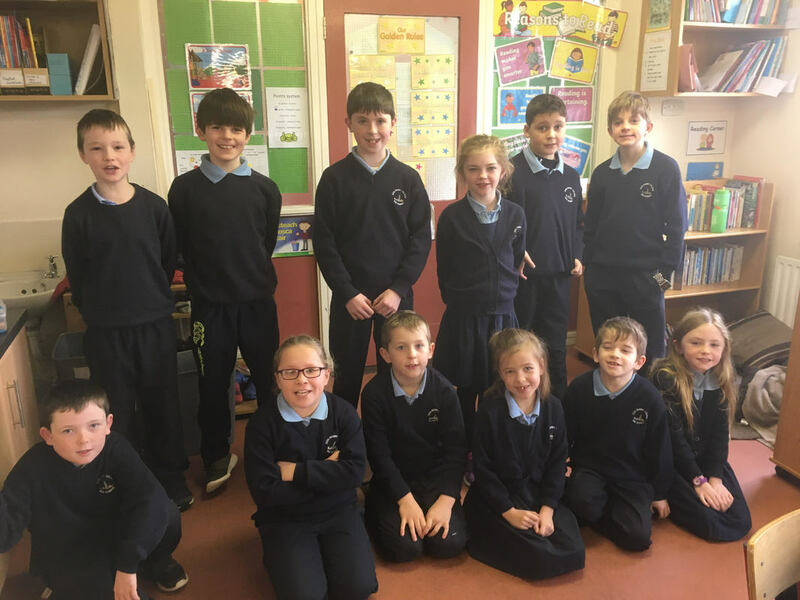 Our Green School Committee spoke in assembly this week. They reminded the other children of all the flags we have already and of the key messages of those other flags. They explained what biodiversity is and that we need to do to encourage biodiversity in the school. 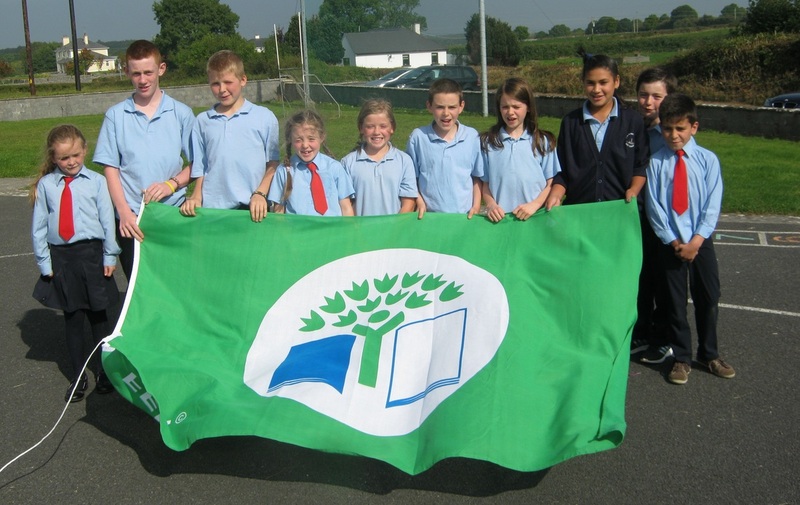 We have already achieved four Green flags in our school. 1. Litter and Waste, 2. Energy, 3. Water and 4. Travel. We constantly revise the main aspects of these flags. We are currently working on our 5th Green flag which is Biodiversity. Biodiversity means the diversity of living organisms from all sources and within all habitats. We are working hard to increase awareness of biodiversity within our school. 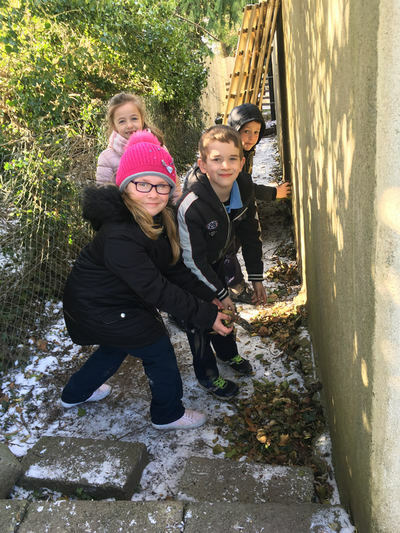 Over the Easter holidays, Tommy very kindly built us some raised beds so that we could have our own school garden behind Stepping Stones preschool. We have planted onions, peas, carrots,lettuces, strawberries and courgettes. They are growing well already. We look forward to a feast of home grown fresh produce in the coming months!! 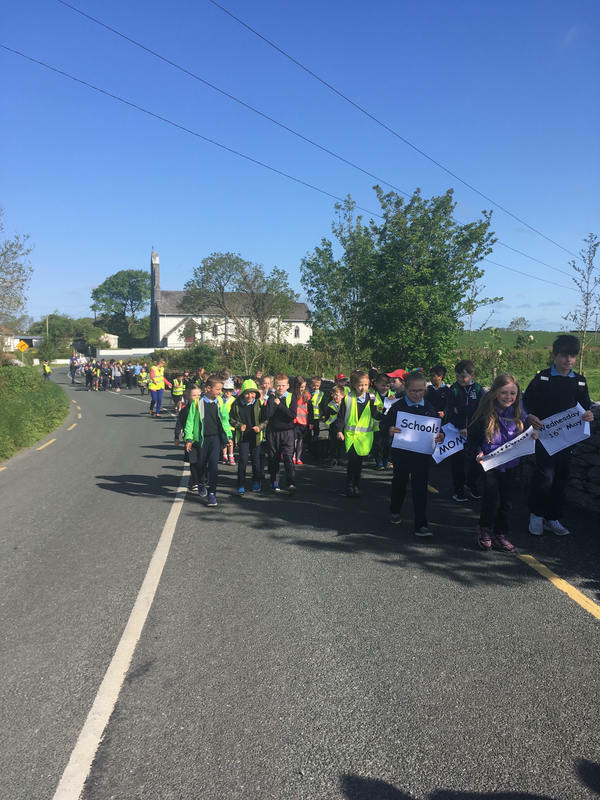 4th, 5th and 6th class had a visit from Seed Savers in Scariff in the Spring. 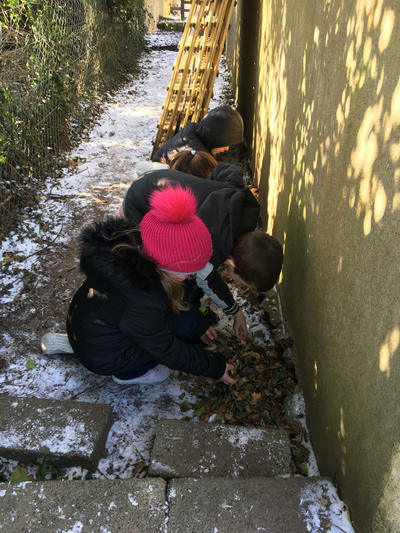 They learnt about the flora and fauna and identified the trees and flowers growing in our school grounds. We were delighted to be awarded our fourth Green Flag for Green Travel last year. We have begun work on our next flag already which will be for Biodiversity. The senior classroom designed and built their own bicycles using recycled materials.